Late last week, the Securities Commission division of the South Carolina Attorney General’s Office filed a cease-and-desist order against cloud-based cryptocurrency mining firm Genesis Mining and brokerage firm Swiss Gold Global Inc. As reported by CoinDesk, the Securities Commission claims that Genesis Mining illegally sold securities — cryptocurrency mining contracts — to South Carolina residents without registering its operation in the state. The order further claims that Swiss Gold Global acted as the unregistered broker-dealer for these mining contracts. 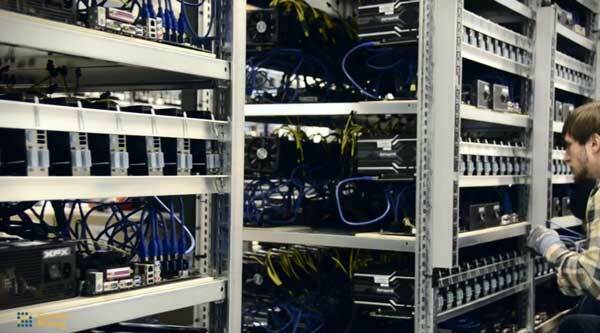 A screenshot from one of Genesis Mining’s promotional videos, showcasing their Iceland-based Ethereum mining facility. 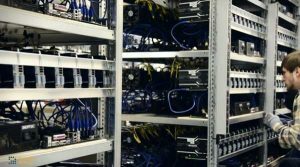 The move is raising eyebrows across the cryptocurrency mining world, due in large part to South Carolina’s broad interpretation of a “security” in this context. In a strictly technical sense, cloud-based mining is a lease agreement to purchase a share of processing time from a large data center. Equipment leases such as this would almost never qualify as a security under standard legal definitions. Because their is an inherent expectation of profit in this lease arrangement, however, the Securities Commission argues that such leases amount to “investment contracts” and are “thus securities.” In effect, the Commission is arguing that leasing special-purpose mining hardware is legally equivalent to purchasing a common stock, as the profits are expected to come from “the efforts of a person other than the investor.” It should also be noted that there is no suggestion that either Swiss Gold Global and Genesis Mining specifically targeted residents of South Carolina, but merely that it was possible for those living in the state to purchase leases from their respective company websites. Under the South Carolina Uniform Securities Act of 2005, entities offering securities within South Carolina must be either registered state or federal authorities, or otherwise exempt from registration. The cease-and-desist order requires Genesis Mining to stop doing business in South Carolina immediately, and “permanently bans” Swiss Gold Global and Genesis Mining from any future business activities in the state. Interestingly, the cease-and-desist order doesn’t offer any evidence that either company actually conducted business in South Carolina, and it remains unclear if any resident of the state has ever even purchased a Genesis Mining lease. Genesis Mining has yet to officially respond to the order, although a legal challenge to it may well be in the works. While the South Carolina Attorney General’s Office may assert that cloud-based mining constitutes a security under a very broad reading of the law, so would most typical data center activities. The implications for such a reading of the law go far beyond the cryptocurrency industry, and creating serious legal issues for cloud-based service providers operating in the state. Given that almost every aspect of the bitcoin and cryptocurrency economy exists in a legal limbo, it will ultimately be a matter for the courts to decide. Swiss Gold Global and Genesis Mining have 30 days to respond to the cease-and-desist order. That said, both companies may decide to let the order go unchallenged for practical reasons. Neither entity is based in the U.S., with Genesis Mining running operations out of “bitcoin farms” in bitcoin calculator-friendly Iceland while being headquartered in Hong Kong. Swiss Gold Global, meanwhile, appears to be based in the United Arab Emirates city of Dubai, although it does have an office in Zürich, Switzerland. Apart from the legal precedent it might set, it’s unlikely that either company is concerned about losing access to potential South Carolina customers.